"Avengers: Infinity War” arrives amid the high expectations raised by “Black Panther” and the biggest assemblage of Marvel heroes yet. A scene from "Avengers: Infinity War" of the Marvel Universe. The Black Panther emerged in February as the Marvel Universe's biggest current star, with his record-breaking solo movie debut. But T'Challa, the king of Wakanda – and of the 2018 box office, so far – is just one do-gooder among many in his next outing. "Avengers: Infinity War," which opens Friday, assembles more than a dozen heroes, not counting the interstellar crossover crew from "Guardians of the Galaxy." The new film stands as a test of whether the Avengers' chief challenge will be defeating stones-grabbing, would-be worlds-dominator Thanos – or juggling a seemingly infinite universe of characters. The stakes are high for Marvel/Disney as directors Anthony and Joe Russo attempt to raise the first of the two-part conclusion of the “Avengers” saga to “The Lord of Rings” trilogy levels. It’s not easy fashioning an epic, even 16 years into mostly great cinematic recreations of Stan Lee & Co.’s classic comic book inventions. The best of the Marvel films, from “Spider-man” to "Captain America: The First Avenger" to "Black Panther," firmly established characters while deftly setting up sequels and, eventually, intricately linked multi-hero blockbusters. The first “Avengers” film packed enough action, backstory and plot to earn its celebratory shawarma dinner in 2012. 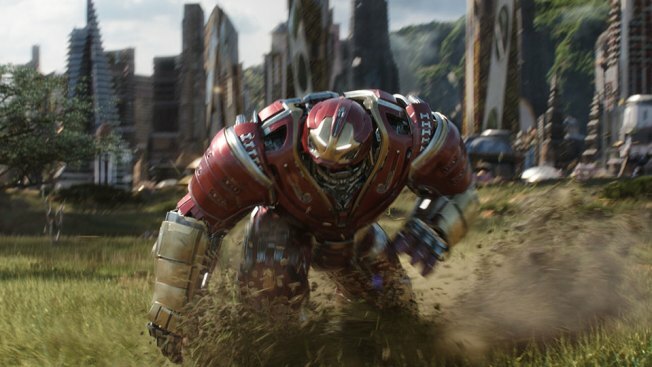 ”Avengers: Age of Ultron” (2015) and “Captain America: Civil War” (2016) added layers – and players – even if the most devoted fans could have used a scorecard at times. Now “Infinity” emerges as new proving grounds for the Russo Brothers, who maintained a delicate equilibrium in “Civil War,” an action-and-hero-filled picture with some serious overtones. There’s a lot riding on “Infinity”: Some reports suggest the film and its sequel could wind up placing among the most expensive movies ever made. Meanwhile, the “Black Panther” cultural juggernaut has elevated expectations for “Infinity” to Asgardian heights. As T’Challa’s brainiac sister, Princess Shuri, once noted, “Just because something works, doesn’t mean it can’t be improved.” Even in the ever-expanding Marvel Universe, more of a good thing alone doesn’t necessarily spell a success worth its weight in vibranium. Thanos – and the rest of us – will be watching.